Half a century after humankind entered outer space, an ESA-developed camera produced live-streaming 3D images for the first time in the history of space travel - showing the International Space Station like never before. 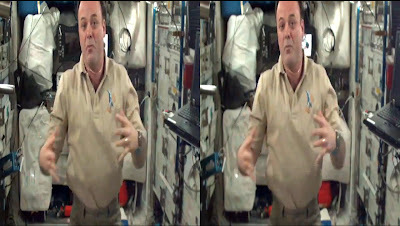 On 6 August, NASA astronaut Ron Garan operated the Erasmus Recording Binocular (ERB-2) camera to open a new window on the ISS through stereoscopic eyes, in high-definition quality. As Flight Engineer for Expedition 28 and a video blogger himself, Garan set up the futuristic-looking camera in Europe's Columbus laboratory. 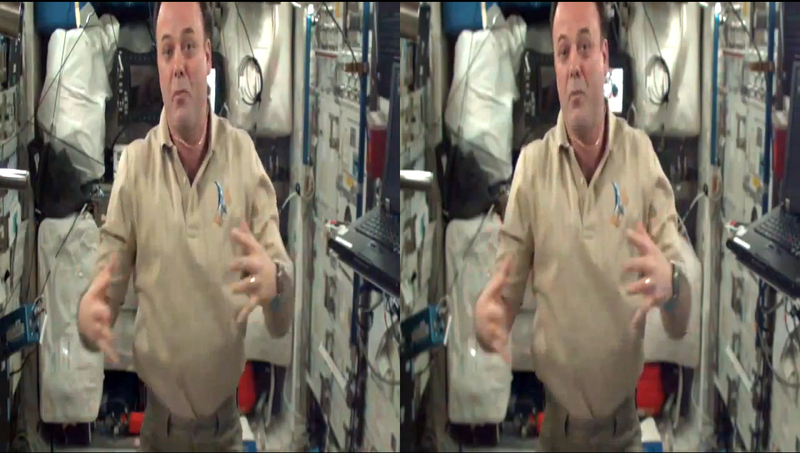 While talking about the work on board the ISS, he enhanced the sense of depth and presence by playing with an inflatable Earth globe. Not much bigger than a shoebox, with high-definition optics and advanced electronics, the ERB-2 is the second generation of ESA's stereoscopic camera family developed by Cosine BV (Leiden, the Netherlands) and Techno System (Naples, Italy). On the ground at the European Space Research and Technology Centre (ESTEC) in the Netherlands, viewers wore polarised glasses similar to those used in cinemas and were amazed by the quality of the images. These near-real 3D images not only change the whole viewing experience, but can also be used in supporting science operations on the Station. This premiere was a long-awaited commissioning test of the live mode transmission, proving that all systems and procedures are ready to be used for future ERB-2 live-streaming events. Apart from broadcasting stereo images in real-time for live programmes, ESA's ERB-2 coordinator Massimo Sabbatini dreams about filming extravehicular activities. "The camera could also be used in the future outside the ISS to support the astronauts' spacewalks or other critical robotic operations. This really felt like being in space with an astronaut by your side," he said. Get your 3D glasses ready. The first ERB-2 images will be soon posted on the new ESA YouTube 3D channel. "If you already have a new generation 3D-enabled plasma TV at home, you'll be able to immerse yourself in the world of the Space Station without leaving your sofa. These videos will turn more people into real space fans," said Sabbatini. ESA astronaut Paolo Nespoli already recorded his life on board the ISS during his MagISStra mission. His colleague Andre Kuipers will also contribute to the 3D immersion: he is being trained to use the ERB-2 camera during his six-month mission to ISS starting in November this year.